Since 2015, Ontario Power Generation (OPG) has partnered with Ontario Nature for Giving Tuesday. Thanks to their support, we have been able to restore vulnerable habitats, protect wild pollinators, defend endangered species and so much more. This year, OPG is sponsoring our Giving Tuesday campaign to help protect the places we love. If you would like to help us protect Ontario’s wild spaces, you can find out more information on our Giving Tuesday page. OPG’s Biodiversity Program works with partners like us to conserve and enhance Ontario’s biodiversity. You can learn more about their program in this week’s blog. As Ontario’s largest clean power generator, Ontario Power Generation (OPG) produces clean, reliable and safe electricity at its operations across the province. We take great pride in being involved in our many host communities and improving the lives of all who live and work here. This commitment to bettering our surroundings also means we are proud stewards of the environment, whether it be just outside our stations or across the province. We believe protecting and nurturing habitats and biodiversity all around us is vital to the well-being of current and future generations of Ontarians. That’s why we continue to work with several partners to conserve the province’s natural corridors through our Regional Biodiversity Program. One of these key partnerships is Heartland Forest. This natural paradise all started with a grandfather’s dream for his granddaughter. Dan Bouwman purchased 37 hectares of land in a remote area of west Niagara Falls with the vision of creating a peaceful, accessible and inclusive place to enjoy nature for his granddaughter, Sydney Burciul, who was born with a rare brain disorder. Supported by donors and funding from the provincial government, the privately owned Heartland Forest opened in 2004 with a mandate of preservation, education and accessibility. Today, more than 20,000 visitors of all ages arrive each year to enjoy a free interactive nature experience. The property includes two fully accessible trails, playgrounds, an informative nature centre, a butterfly garden, and Canada’s largest accessible tree house. 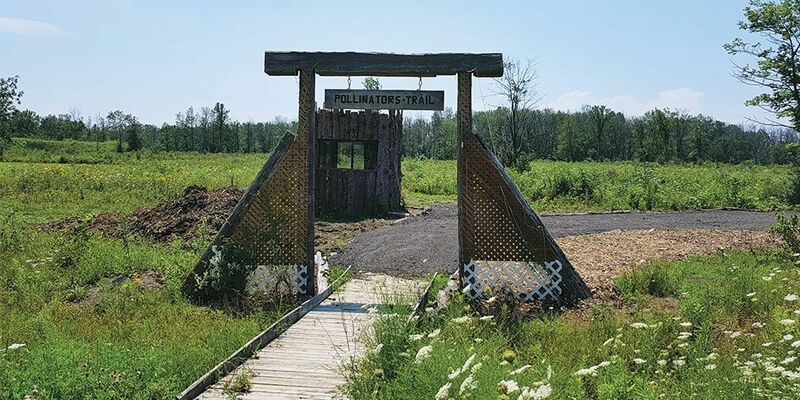 The amazing area is home to a provincially significant wetland teeming with natural features and species, including 20 species of trees, 50 species of birds, 10 species of amphibians and many other creatures. It also includes a Carolinian forest, frog and turtle ponds, a stream, and vernal pools. Recently, the registered charity secured funding through OPG’s Regional Biodiversity Program for a two-year wet meadow pollination program. 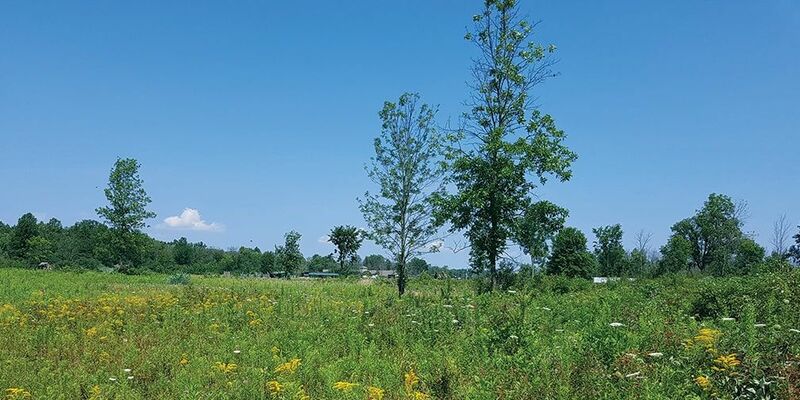 The project’s aim is to restore and enhance a 10-hectare wet meadow and successional field to increase populations of declining wild pollinator species and other species at risk, such as the red-headed woodpecker. Funds will be used to restore 10 wetland pockets, manage invasive species, restore native plant diversity, and install and monitor habitat structures such as native bee boxes, nesting boxes and barn swallow structures. 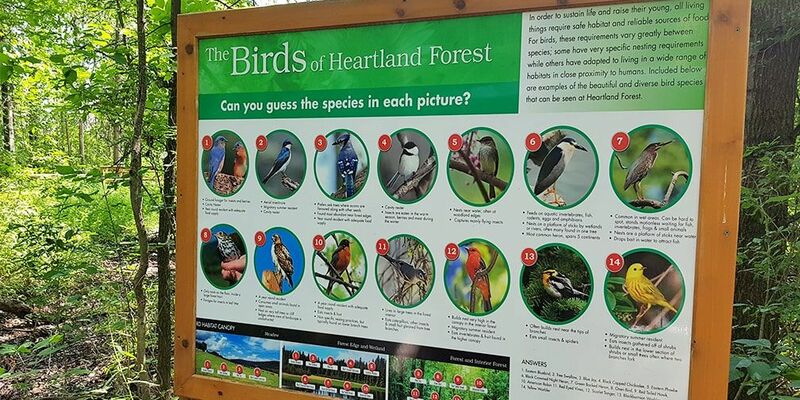 Heartland Forest will also use project funding to educate visitors through signage illustrating the importance of native pollinators and a new foot trail that provides access to various microhabitats. Heartland staff are doing their part to keep this beautiful area rich with healthy forests, grassland and wetlands. This Giving Tuesday, Nov. 27, you can do your part to help protect the places you love by making a donation to Ontario Nature. Every dollar given, up to $15,000, will be matched by OPG. The funds will help Ontario Nature in its mission to protect more of Ontario’s lands and inland waters for the benefit of wild species and wild spaces. To learn more about OPG’s biodiversity program, head over to our website. 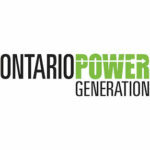 Ontario Power Generation (OPG) is the province’s largest clean electricity generator, producing almost half of the electricity that Ontario homes, schools, hospitals and businesses rely on each day at a cost that is 40 per cent lower than other generators.